Southern New Hampshire University is also featured in our ranking of the Top 15 Online Master’s in Forensic Accounting. Southern New Hampshire University offers both finance and accounting degree programs for residential and online students as well as both undergrads and graduate students. The Degree in Three programs available for residential students allow them to complete their degrees in only three years. Students can earn a Bachelor of Science in Accounting, Accounting Finance or Economics Finance. They can also get a business administration degree with a concentration in finance or accounting and an international business degree in finance. Once they earn a three-year degree, they can spend one more year to earn a master’s degree in accounting. The university also offers traditional programs in finance and business administration in finance for residential graduate students. Those students will also find a certificate program in accounting. Though the university offers many traditional degree programs for accounting and finance majors, it offers even more online programs. Bachelor of Science programs let students pick majors in accounting, accounting finance, business administration, and finance. The finance program includes a concentration in financial planning, while the business administration program features concentrations in both finance and accounting. Those in the general accounting undergrad program can also choose a concentration in forensic accounting and fraud examination. The Master of Science in Accounting online program features four concentrations: auditing, forensic accounting, management accounting, and taxation. Those who choose the taxation concentration will meet some of the requirements for taking the New Hampshire CPA exam and the similar exams offered in other states. The Master of Science in Finance program includes concentrations in corporate finance and investments. 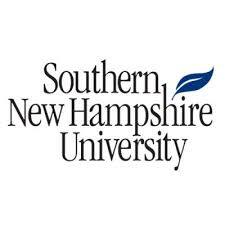 Southern New Hampshire University also offers an online MBA with concentrations in accounting and finance. Other online programs available from the university include an Associate of Arts (AS) in Accounting and certificates in accounting, finance and forensic accounting and fraud examination for graduate students. An undergrad accounting certificate program is also available online. Southern New Hampshire University is a comprehensive private university in the small town of Hooksett, New Hampshire. Established in 1932 as a business school, it offered practical training and classes for secretaries and those who wanted to study accounting. It would become the New Hampshire College of Accounting and Commerce in the 1960s and New Hampshire College at the end of the decade. That name change coincided with the college’s curriculum change as it added programs outside of standard business subjects. The college introduced its first graduate programs in the 1980s and became Southern New Hampshire University in 2001. Usually called SNHU for short, it has an honors program for business majors who graduated at the top of their high school classes and scored highly on the ACT or SAT. This program allows students to finish their degrees in no more than three years. It also offers online courses through its College of Online and Continuing Education, which has an enrollment of more than 80,000 students. Enrollment on the main SNHU campus includes more than 3,900 students. The accounting and finance degree programs available from SNHU are business programs. Each one has program accreditation from the Accreditation Council for Business Schools and Programs (ACBSP). The university itself has accreditation from the New England Association of Schools and Colleges (NEASC), which is a form of regional accreditation. SNHU offers one application for online students and one for residential or traditional students. Those applying to the university must select the right application and use the drop-down menus to pick their majors. They can also use the Common Application, which includes an essay requirement. This essay asks students to write a few paragraphs to demonstrate their writing skills. SNHU will also ask for official transcripts and either an ACT or SAT score. Students should submit a letter of recommendation too. Those applying to one of the three-year programs will also need to write a separate essay, meet all the requirements of the university’s Honors College and complete an interview with a professor from the business department. Students applying to the university’s MBA program or any of the other graduate programs in accounting or finance must have a bachelor’s degree when they enroll. They also need a GPA of 2.75 or higher. SNHU looks favorably at those who have a bachelor’s degree in business who also took classes in finance, economics, and accounting. The online application form available on the university’s website allows students to choose between applying to a residential or an online program. It takes just a few minutes to complete the application, which asks for general background information and about what the student wants to study. After they submit this application, students will need to send SNHU their transcripts. Undergrads in any of the online programs offered by SNHU pay $320 per credit hour or $960 per class. This price drops to $225 per credit hour and $675 per class for service members and their spouses. Online graduate students pay $1,881 per class or $1,410 per class if they are service members or married to a service member. Though graduate students pay the same rate for residential programs, undergrads pay different rates. They pay $15,378 per semester for tuition and fees of close to $400 each year. The easiest way for students to save money at SNHU is with transfer credits. They can transfer up to 90 credits into an undergraduate program, but they will need to submit their official transcripts and wait for the university to evaluate their work. The university also encourages students to meet with a financial aid counselor and create a plan that shows them how they can pay for school. They can establish a payment plan and use financial aid. Both grants and loans go to those who complete the FAFSA. The university offers a grant for those who need more financial assistance, which provides them with up to $14,400 a year. Another grant provides siblings who attend the university together with a $2,500 prize. There are more than 20 other scholarships and special programs that give students funding for the school year. Accounting and finance majors attending Southern New Hampshire University should apply for both government financial aid and aid from the university.